I am looking for contractors to work on my rentals. Are there any roofers from Milwaukee Wisconsin on this forums? I use Paulinos roofing. They are very reputable and affordable. 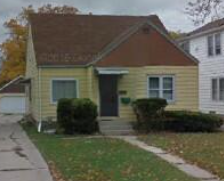 Any idea what is should expect to pay for a 990sq ft house with a steep pitched roof in Milwaukee? @Bob E. What is the style of the home? Cape cod, bungalow, etc. What is the pitch of the roof? @Bob E. I got an estimate from Paulinos for a similar property for $5,000. Milwaukee Home Renovations--if you do call them, please let him know Rebecca & Nick referred you. Do have that number to Milwaukee home renovations handy. Is this a company or a site like Angie's list? Hugo at Quality Seal Roofing has been my go to for the past 4 years. I usually charge between 300-400 per square of roofing for a tear off. Wow in TX we charge around 150-200 for tear off and put on. Paulino did a roof on one of my houses last year, good price, good work.